The nation is currently undergoing a period of rapid development, predominantly funded by revenue generated by the ConocoPhillips-operated Bayu-Undan gas and condensate field, which has provided around $20 billion to the country over the past 10 years. The oil and gas potential of Timor-Leste has long been recognised but has remained largely untapped and under explored for the last forty years due to geopolitical issues. This is the first time in more than 40 years that onshore Timor-Leste has opened its doors to petroleum investment in search of the next major global oil discovery. 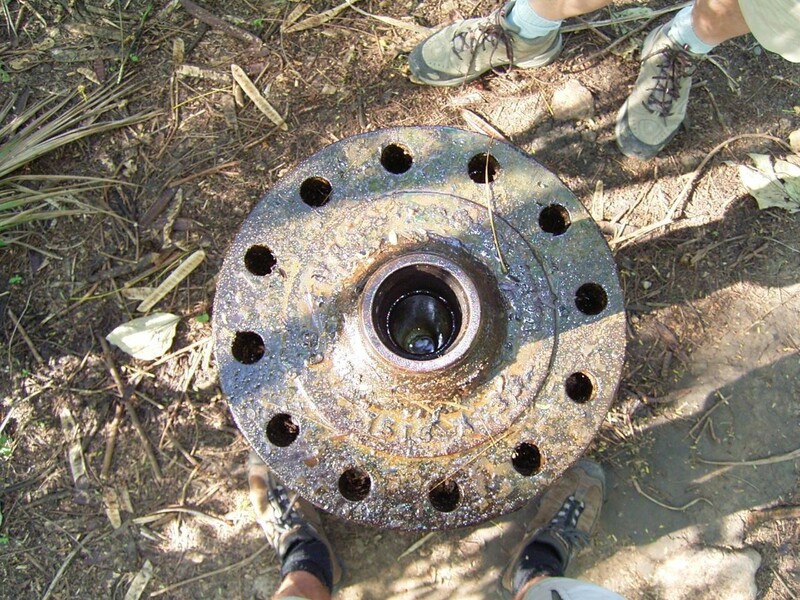 Matai-1A wellhead. 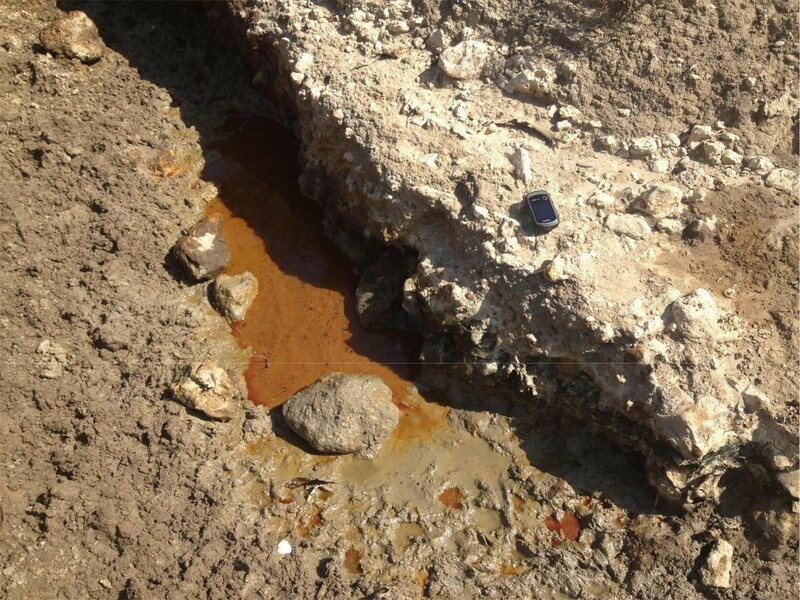 Plastic bottle contains oil collected from the well. The onshore hydrocarbon potential of Timor-Leste is significant. 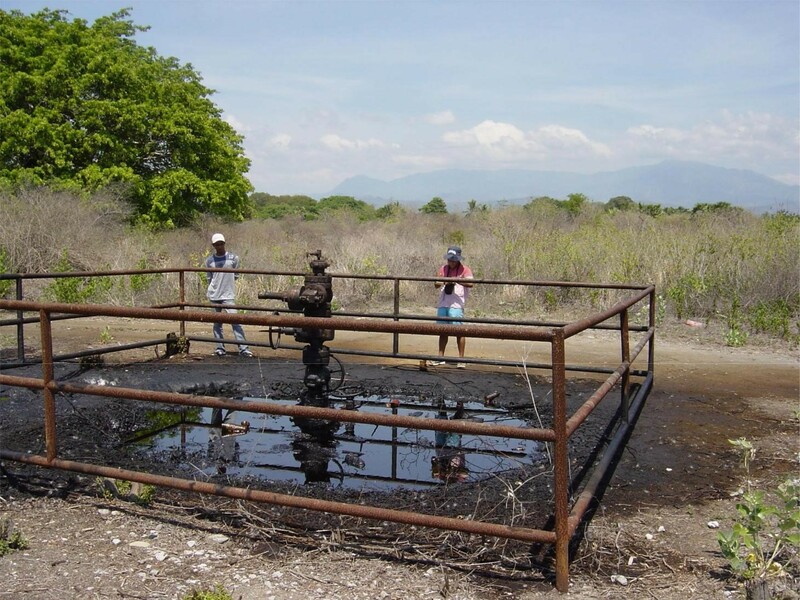 Numerous oil and gas seeps were known to locals who expanded these to “oil pits” from which considerable oil was recovered. This attracted activity from international companies, and between 1910 and 1973 a number of wells were drilled, resulting in oil recoveries and completion of three wells, from which oil can still be recovered. Recent geological work has identified a number of structural and stratigraphic traps, with estimates of potential size sufficient to host significant hydrocarbon accumulations. Many of these anticlines have surface expression and are associated with oil and gas seeps. 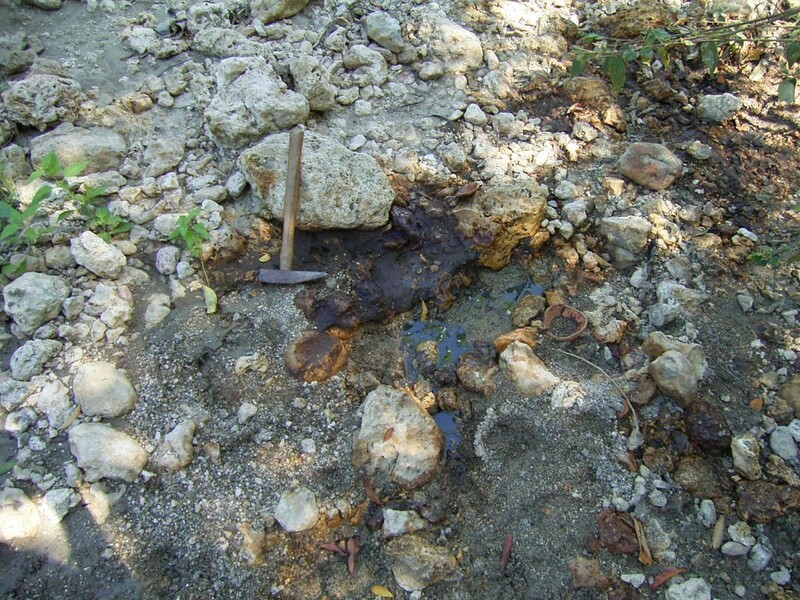 Anticlinal traps, such as the ones found in Timor-Leste, are the most important structural element for oil explorers, accounting for around 80 per cent of the world’s discovered petroleum resources. Cota Taçi-1 wellhead. The well can deliver oil at pressure, and has been collected by locals for use. Timor-Leste is located in the Timor Sea region, North of Australia. Geologically, the island of Timor-Leste is part of the Banda Arc, which marks the zone of collision between the north-western edge of the Australian continent and a former oceanic subduction zone. The outer arc, including the island of Timor, is structurally a fold and thrust belt consisting of the imbricated outer edge of the Australian continental margin, overlain at high structural levels by remnants of the pre-collisional oceanic fore-arc complex. The onshore hydrocarbon potential of Timor-Leste is significant, with anticlinal structural traps sufficiently large to host significant hydrocarbon accumulations identified and interpreted throughout the country. 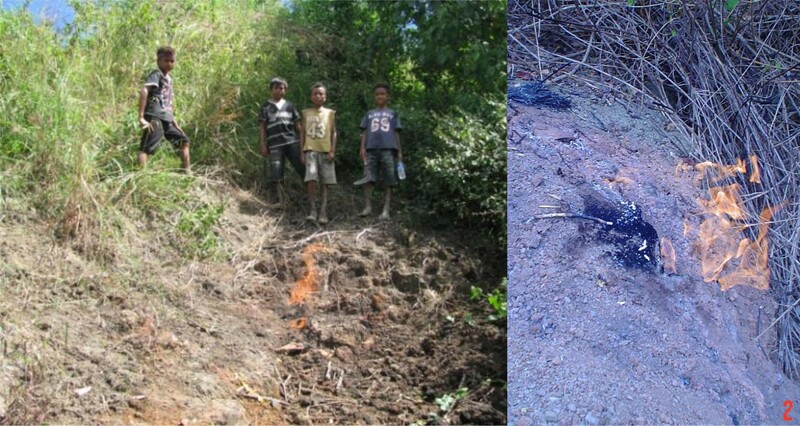 Anticlinal traps, such as the ones found in Timor-Leste, are the most important structural element for oil explorers, accounting for around 80% of the world’s discovered petroleum resources. 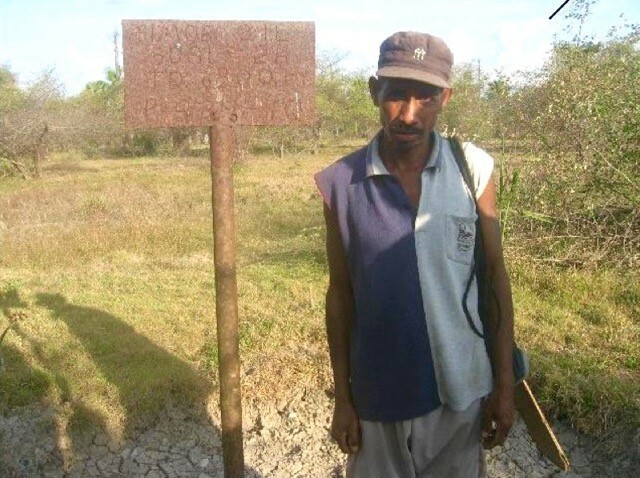 While most of the world’s major anticlinal traps have been identified and are currently on production, Timor-Leste’s potential has remained largely untapped for the last forty years. Now, with focus returning onshore following significant offshore success in the Bayu-Undan and Kitan fields, and a politically stable government supporting oil and gas exploration, Timor-Leste’s hydrocarbon prospectivity has never been greater. Application of modern seismic and drilling techniques is anticipated to deliver a high chance of significant oil discovery(s). Timor Resources has advanced our understanding significantly in 2017, identifying several promising structures which form the target of seismic and drilling. These traps are capable of hosting significant hydrocarbon accumulations. Timor-Leste is in a period of rapid infrastructure development including the Tasi Mane project, which involves the development of three economic hubs over 155 km of the southern coast of Timor-Leste. 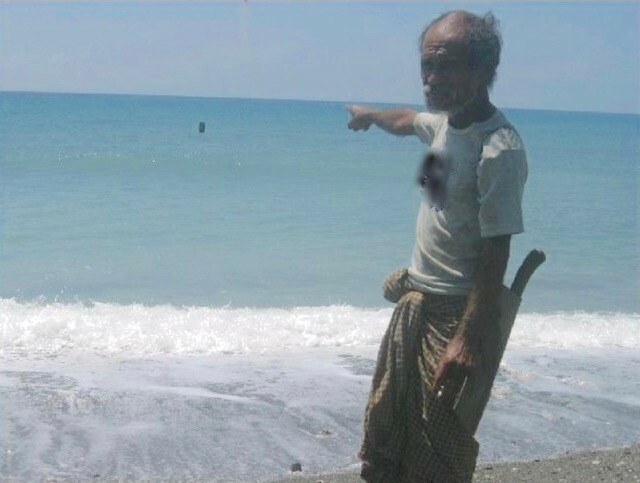 This project includes the Suai and Betano Clusters that overlap Block A and C.
The Tasi Mane projects are a multi-year development of three economic clusters which the government has committed to and are constructing on the south coast of Timor-Leste, which will form the backbone of the Timor-Leste petroleum industry. Over US$1 billion in State funds have been pledged by 2021 towards the Tasi Mane projects, with US$186 million already spent on the project in 2016. The project is a key pillar of the country’s Strategic Development Plan to 2030, which sets out wider economic development targets. The country has met its 2015 targets, and are on track to meet 2020 targets. The projects include construction and operation of a refinery, petrochemical plant, LNG plant, a highway linking the economic clusters and a network of gasoline stations to ensure high quality fuel distribution across Timor-Leste. The projects will support commercial onshore discoveries and the development of the offshore Woodside-operated Greater Sunrise fields. The objective of the Tasi-Mane projects is to enable petroleum and energy development within Timor-Leste, providing a direct economic dividend from the petroleum industry activities to the country. Without these value adding projects, the country would be limited to the royalties and taxes generated by multinational offshore operations. Suai economic cluster: Logistics supply base to support all offshore oil and gas activities in the Timor-Leste Exclusive Area (“TLEA”) and Joint Petroleum Development Area (“JPDA”). Betano economic cluster: An industrial park with a planned 30 kboe/d capacity refinery. The cluster will be developed over 6-9 years and will provide domestic fuel such as diesel, gasoline, jet fuel and LPG. 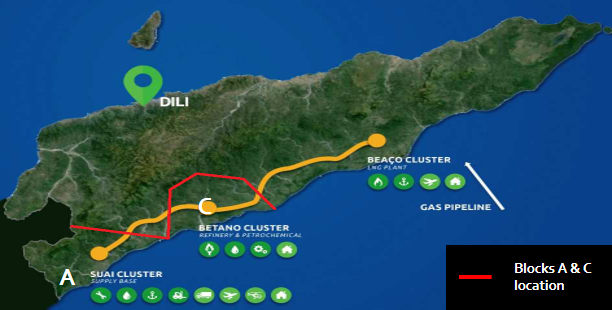 Beaço economic cluster: A natural gas pipeline from the Timor Sea will reach land at Beaço where an LNG plant will be constructed to process the gas. This cluster will incorporate a marine supply harbour to cater to both LNG and LPG carriers. 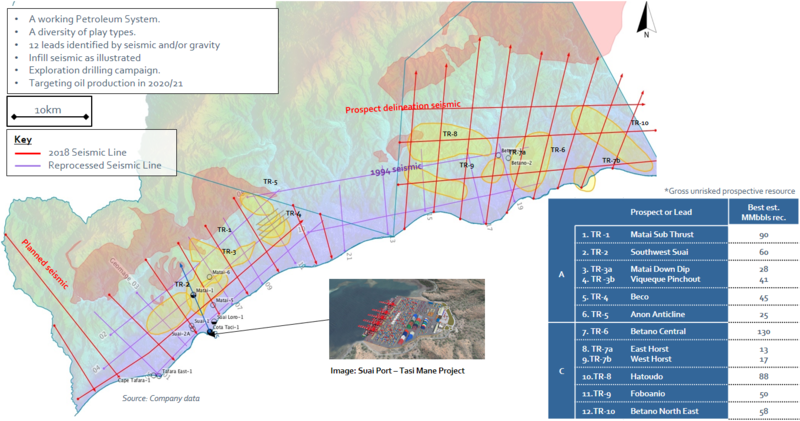 Timor Resources has acquired the two most prospective coastal blocks A and C under a Production Sharing Contract (“PSC”) with Autoridade Nacional do Petróleo e Minerais (ANPM) which is a Government authority for Timor-Leste. Timor Resources enters this area with Joint Venture partner Timor Gap which is the National Oil Company of Timor-Leste. Resource best estimate of 857 million barrels of recoverable oil unrisked, based on existing geological and geophysical data. 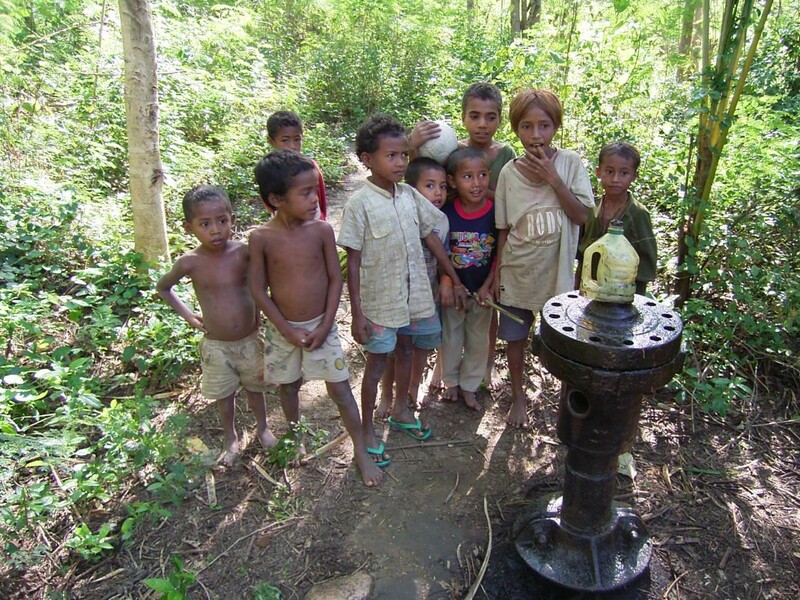 Suai Loro-1 wellhead. Oil can be bailed from the pipe. Pipe with plaque marking the Suai-2A wellhead. Pipe marking Tafara East-1, originally onshore but now offshore. Two of approximately twenty gas seeps on the Bazol Anticline, immediately north. Timor is currently heavily dependent on imports of refined oil products including gasoline, jet fuel, diesel and kerosene. The cost of the country’s reliance on imports for refined petroleum was $98.4M in 2014 and now estimated in more than $140M per annum. The Timorese government is eager to extend its successful offshore oil production activities to onshore, and is supporting activity in this area through a range of onshore initiatives to promote domestic hydrocarbon production, domestic retail distribution, and surplus for export. Timor Gap has a mandate to implement the ‘Tasi Mane’ project – a three-cluster development project to support onshore hydrocarbon production through construction and operation of a refinery, petrochemical plant, LNG plant and a network of petrol stations to ensure high quality fuel distribution across Timor-Leste.